Remodel of existing house, Kitchen extension and utility. Description: Extension & Internal Alteration Works. 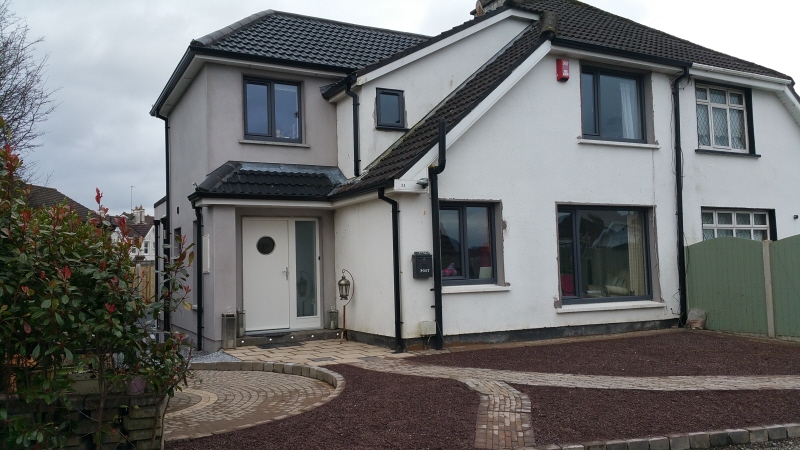 Completion 22/04/2016 – Extension and internal alteration work to a Detached 4 Bed Residence in Janeville, Ballintemple Cork. 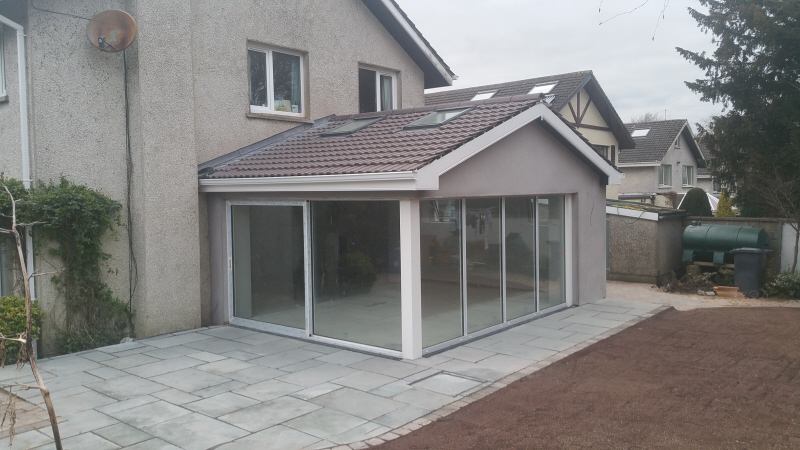 Construction of new extension to include velux roof lights and sliding patio doors. Installation of r.s.j to support new knock through. Exchange of clay sewer pipes to wavin, redirection and reconnection to main system. Installation of new high efficiency gas boiler with heating controls upgrade. Re-wiring of new electrical layout. Roof insulation and wall dry-lining insulation. Installation of solid timber flooring. Installation of modern/stylish new kitchen to include all the mod-cons. 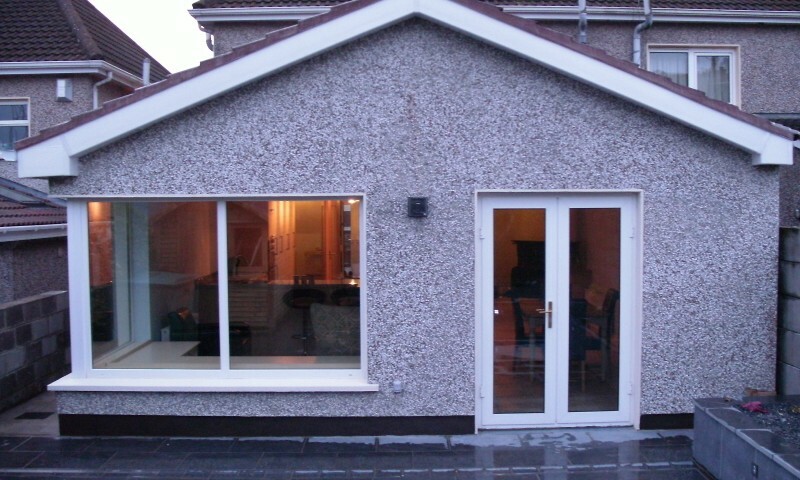 Full decoration of existing residence and extension. Full landscaping to front and back. Architect/Engineer: Mr Paul Matson – MMOS Murphy Matson & O Sullivan. the addition of an extended kitchen with an A – pitched roof, veluxs, double patio doors. This allows maximum light into the extended space. the installation of the most modern kitchen layout and systems. 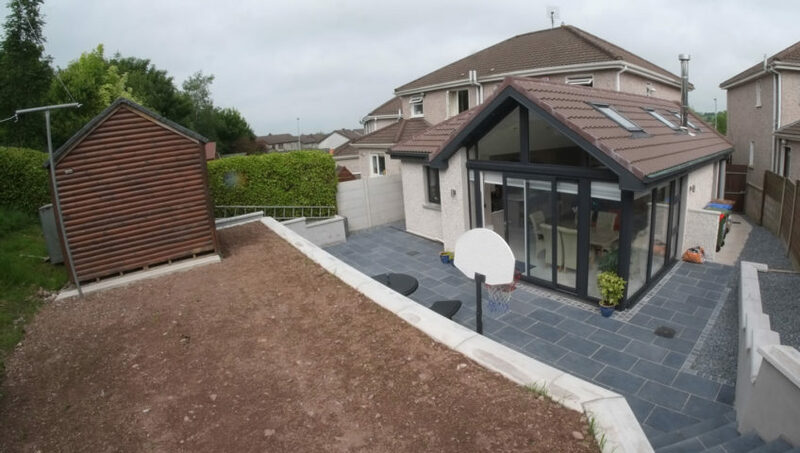 external works included new footpaths,new limestone patio to the rear with built up wall features and lightening as one walks out the patio doors from the extended kitchen area. All works done by Doyle Bros Construction. 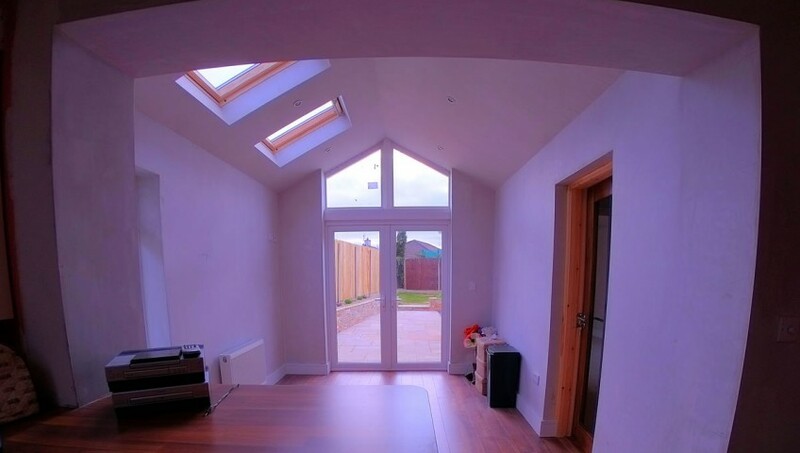 Description: Single Storey Ext & Internal Alteration Works. 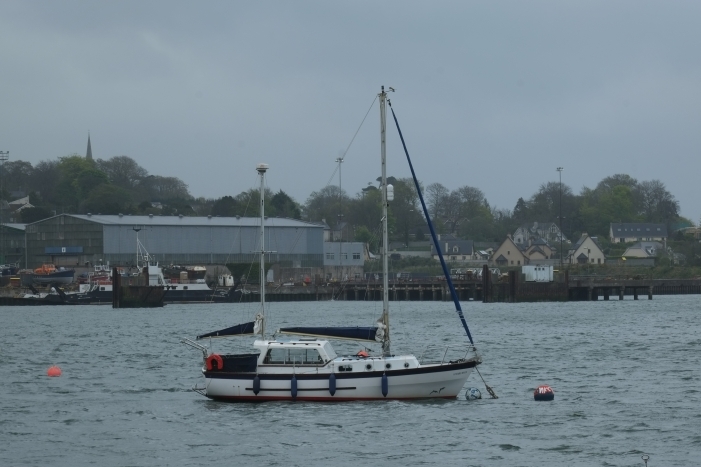 Location: Clevedon Carrigaline Co. Cork. – the addition of an extended kitchen with vaulted ceiling, velux, double patio doors and A Frame window above. This allows maximum light into the whole kitchen area. – the addition of a utility room re-using some of the old kitchen cupboards and worktop. – the addition of a new bedroom, walk through wardrobe room and the ensuite. Around the outside involved the addition of extended drives and footpaths, new base for sheds and a new Patio area as one walks through the patio doors from the new extended kitchen. * All the above works done by Doyle Bros Construction. Location: Ashford Court, Pinecroft, Grange. Architect: Mr. Leonard Barrett – Barrett & Associates. Engineer: Mr Tom O Brien – T.J. O’Brien Consulting Engineers. the addition of an extended kitchen area to the rear of the dwelling, including veluxs, full lenght sliding patio doors, allowing maximum light to enter the kitchen space. the internal alteration of existing rooms to make the living space larger and practical, the creation of an upstairs en-suite, downstairs bathroom and shower area, the upgrading of the heating system to the most cost efficient standards. the installation of the latest modern kitchen plan and systems. 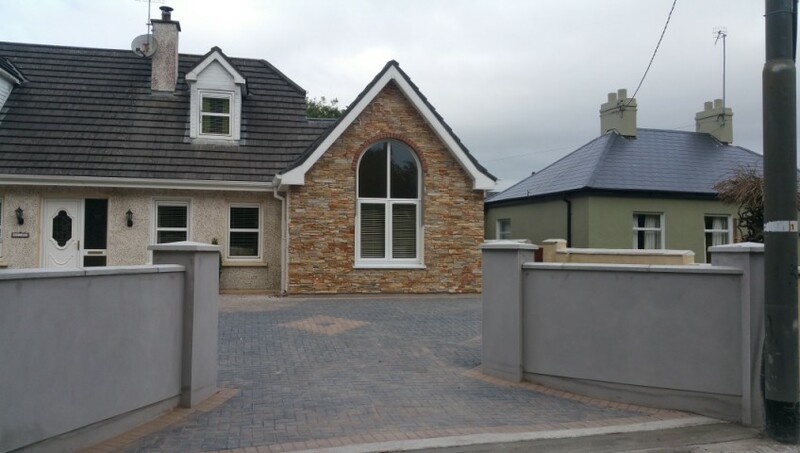 external works included the replacing of clay sewer pipes to wavin p.v.c., redirecting, reconnecting to existing services, the laying of paving to the rear of the property as one walks out the sliding doors from the extended kitchen area and the setting of brick paving to the front as one walks out the main entrance.